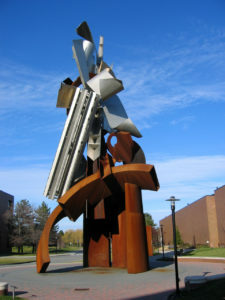 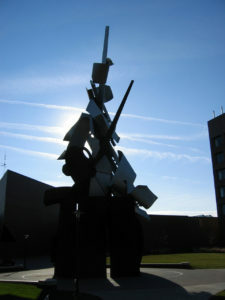 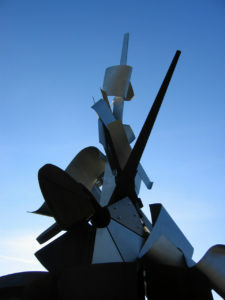 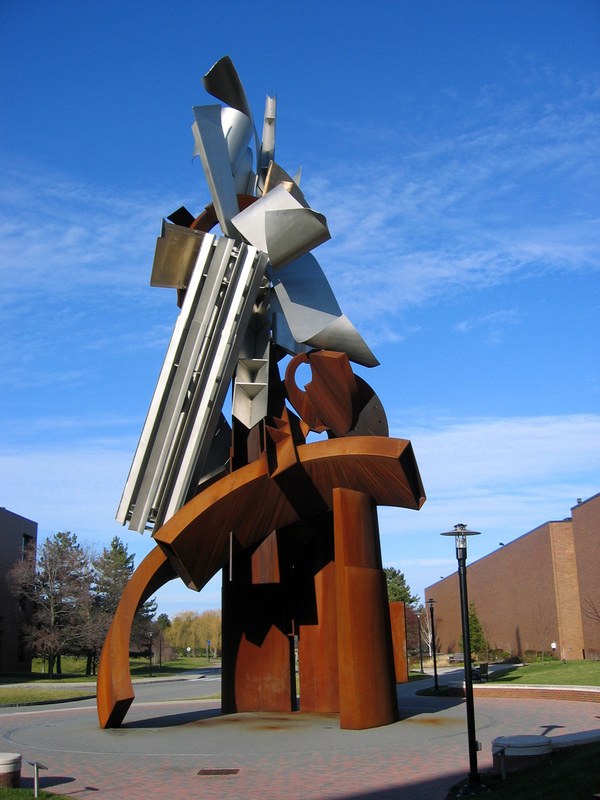 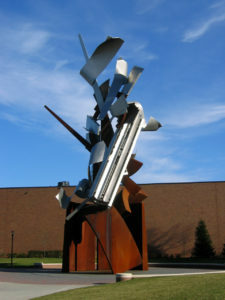 Photographs I took of the Albert Paley sculpture “Sentinel” on the campus of the Rochester Institute of Technology. 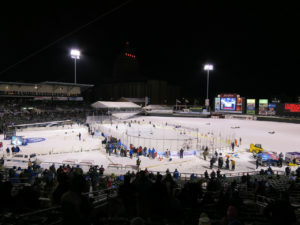 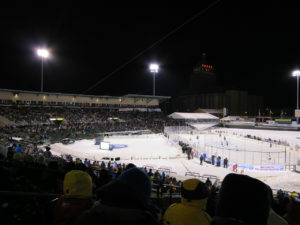 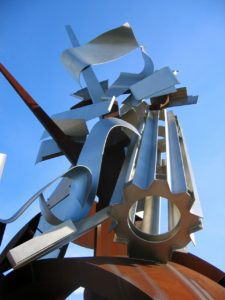 Photos taken in December of 2006. 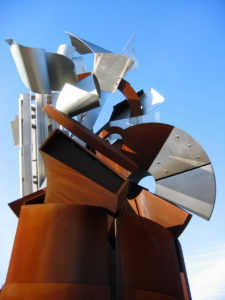 Visit the Albert Paley Studios Home Page if you are interested in more of Albert Paley’s work. 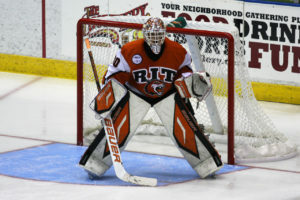 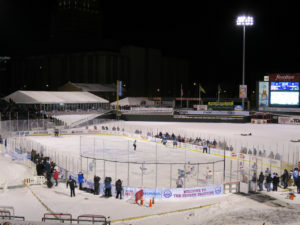 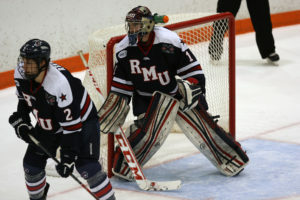 I decided to take our camera to the RIT hockey game Saturday night to try my hand at capturing some images. 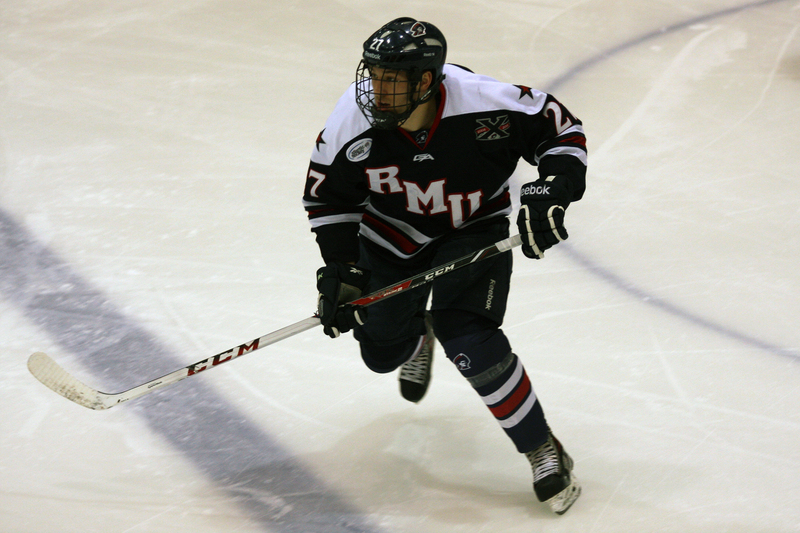 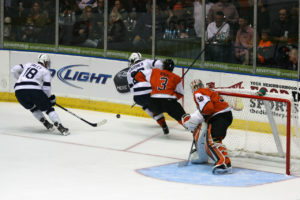 It turns out there is a bit of skill involved with photographing ice hockey. 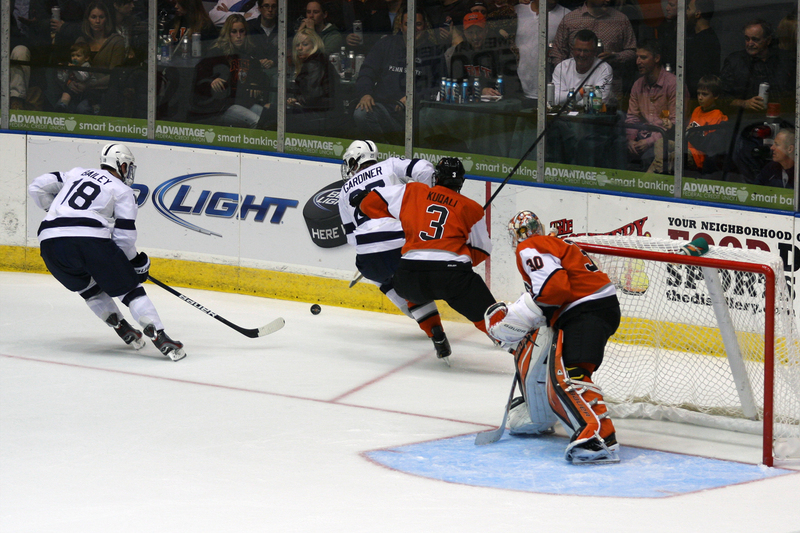 First off the lighting is a nightmare, and most of my shots came out with a yellowish tint that needed to be addressed in photoshop. 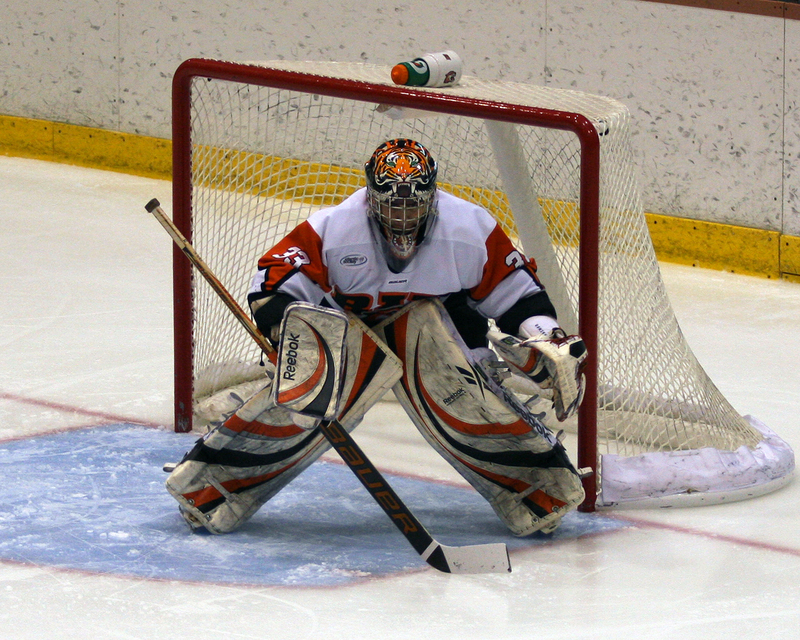 Secondly there is a lack of light that makes shooting in high ISO a necessity, and leads to generally noisy images. Third, there are a lot of players on the ice, so many many photos have some other player zipping by or obscuring a arm or leg. 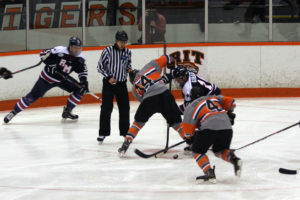 Then you also need to anticipate the plays, or else you will have photos of people just standing around without the puck. 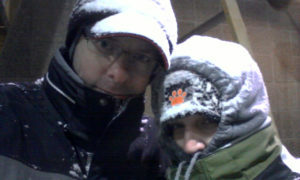 It was difficult, but I had a fun time, and shot over 350 photos. 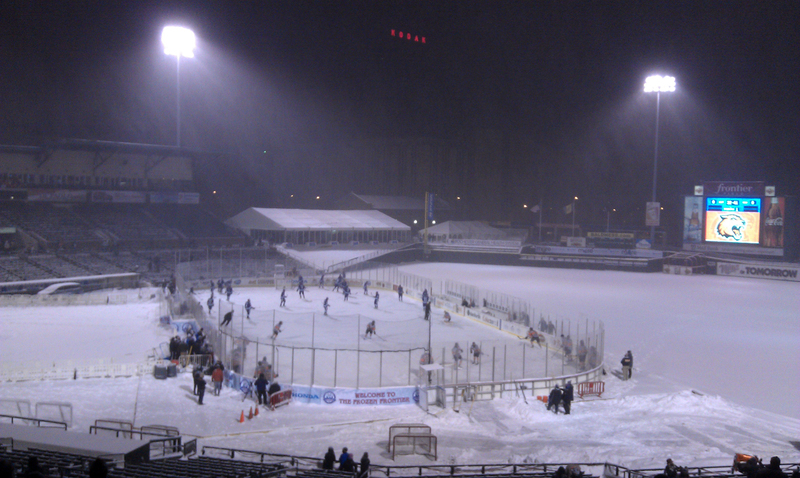 I took some time to load some of the best onto my flickr account, and a few here too. 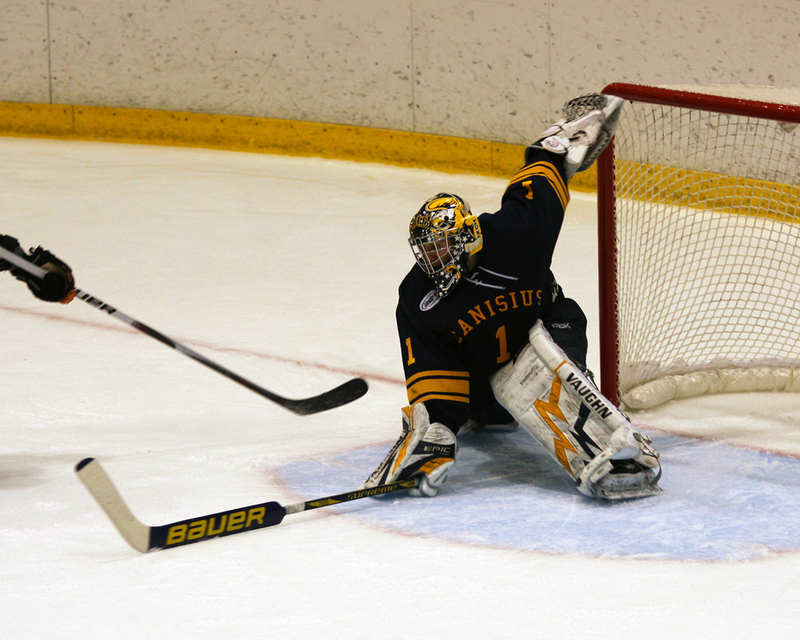 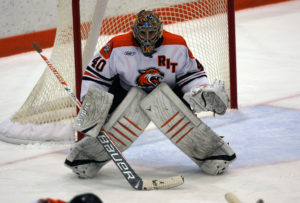 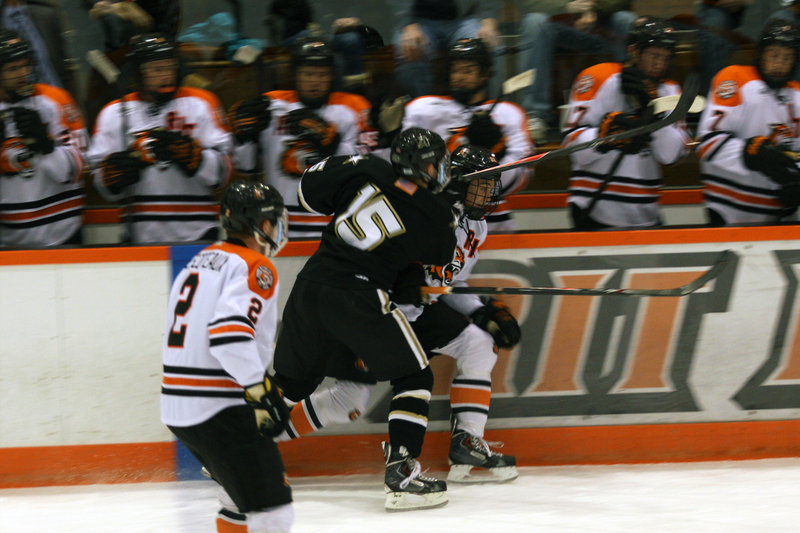 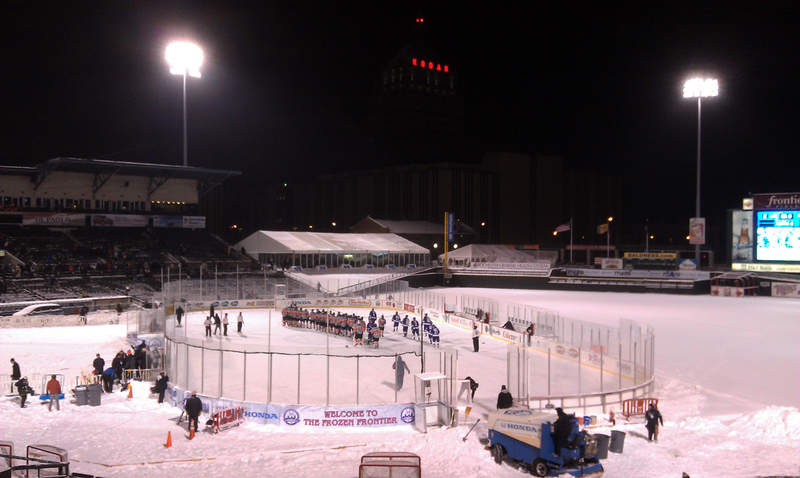 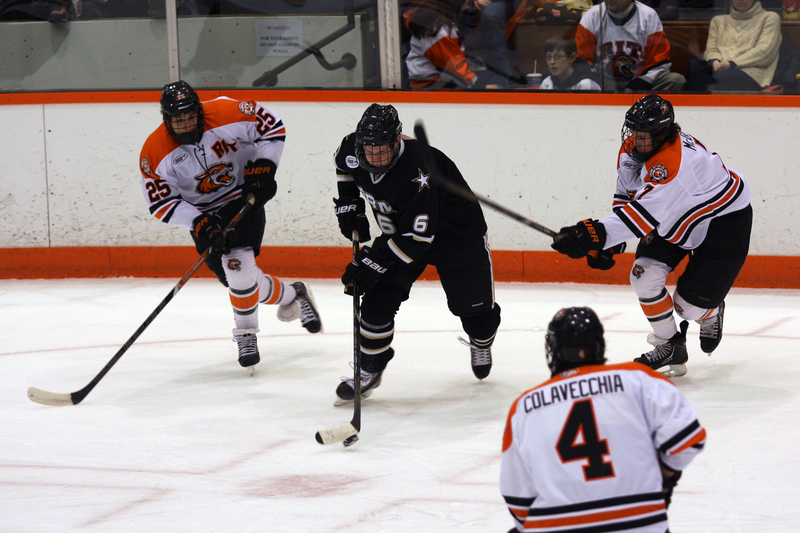 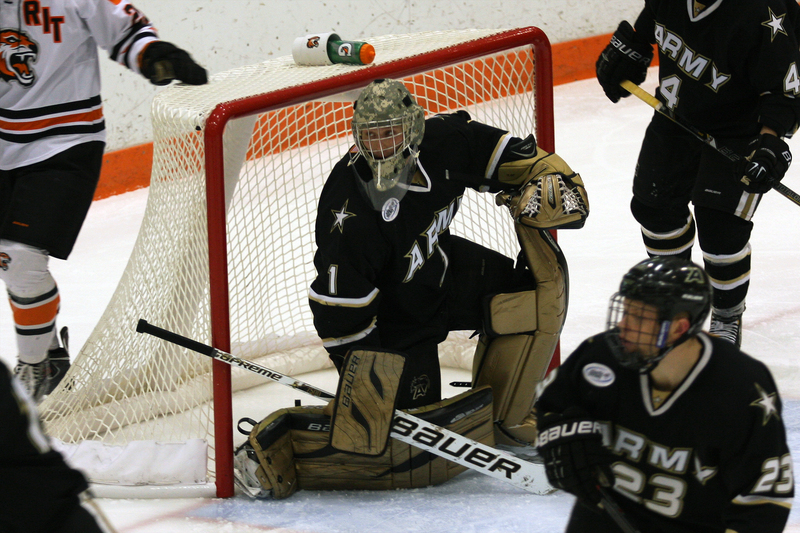 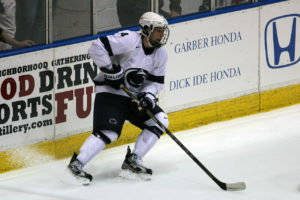 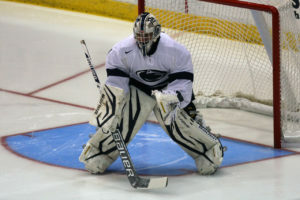 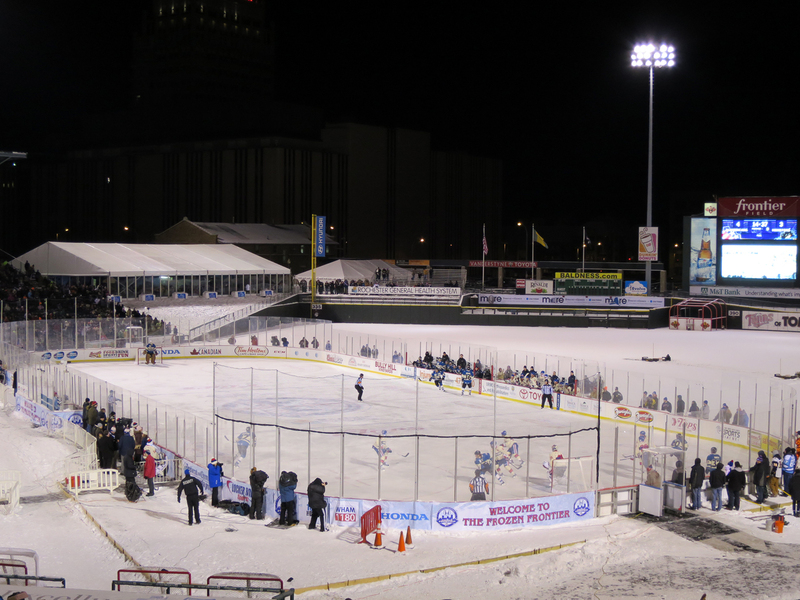 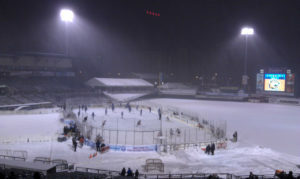 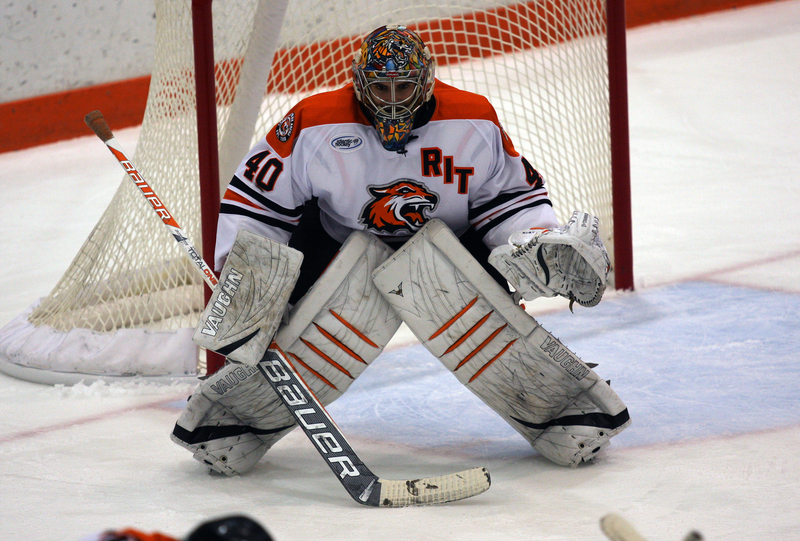 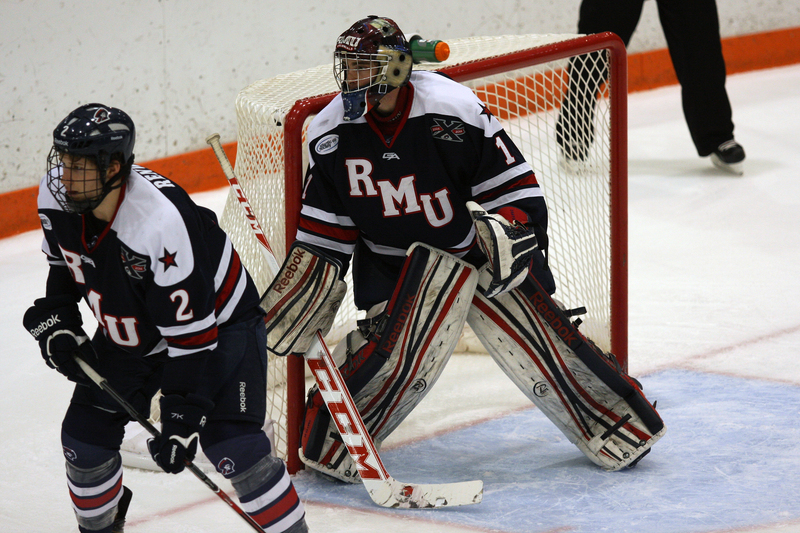 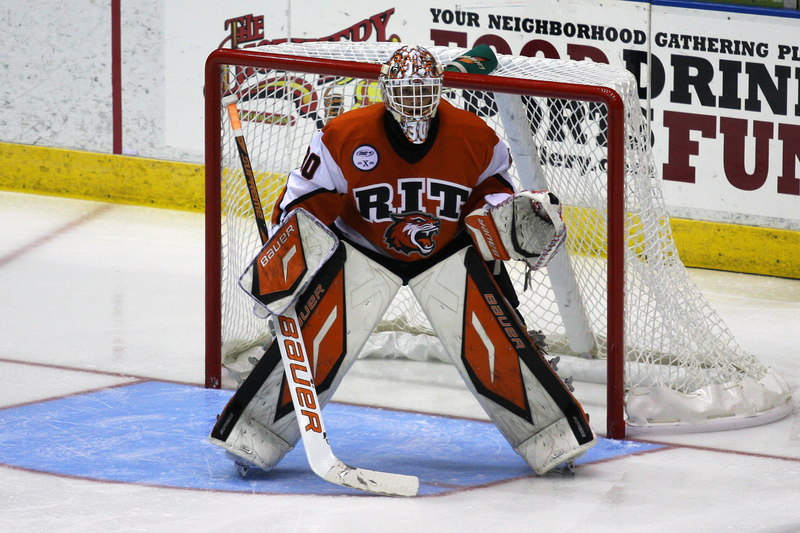 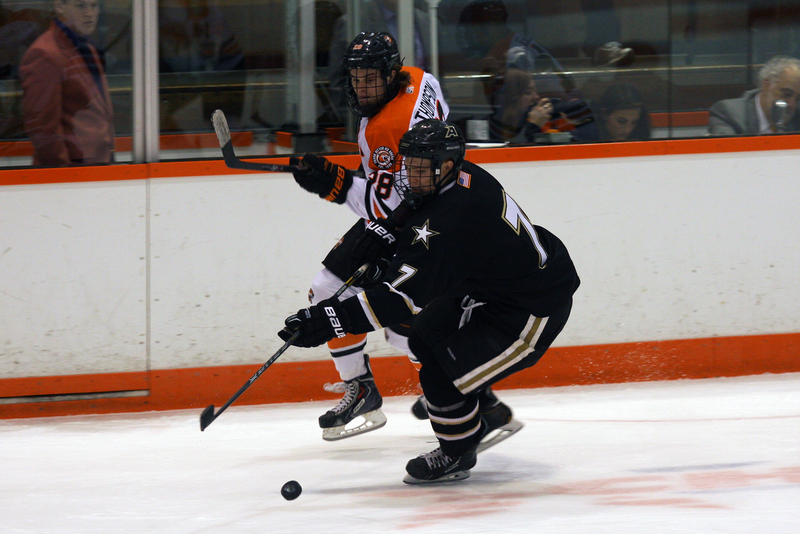 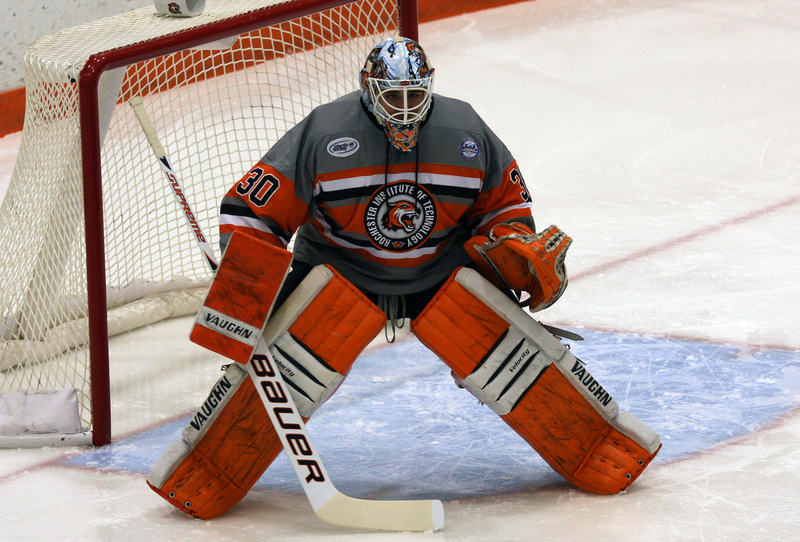 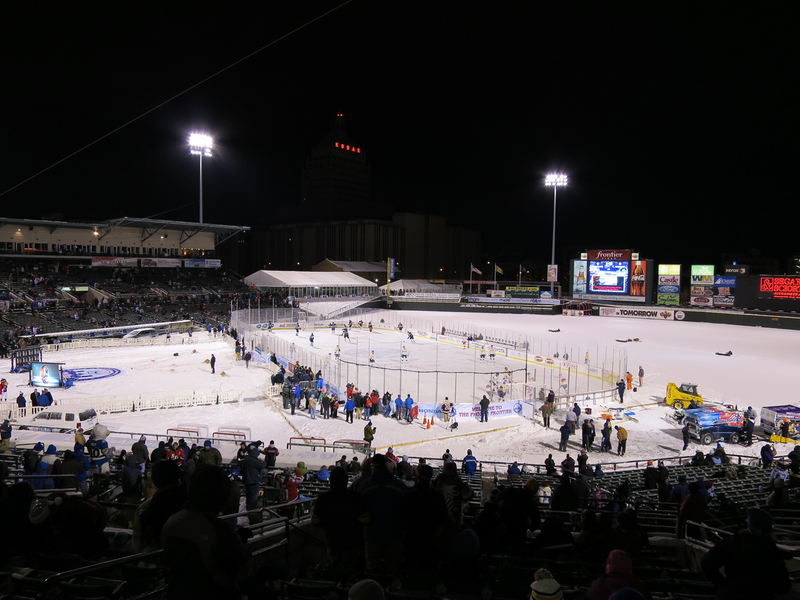 RIT played Canisius college twice this weekend, winning the first 8-0, and the second a much closer 5-4. 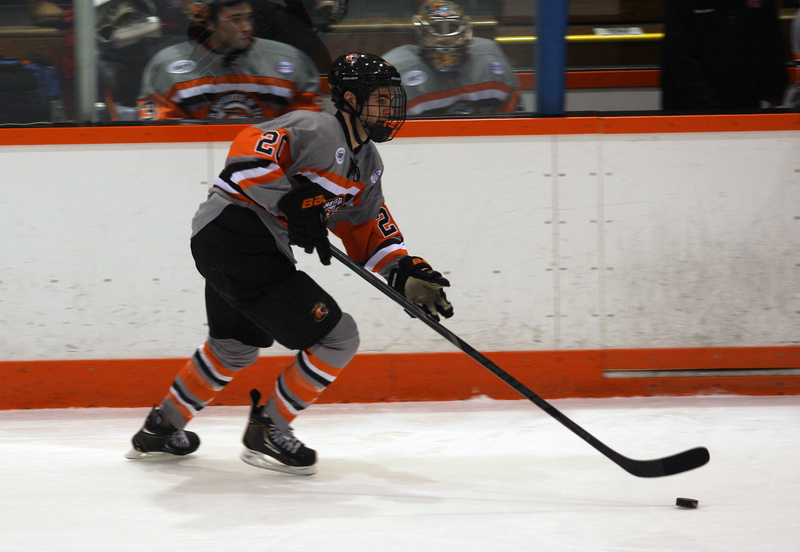 It was fun to close out the season with the tigers, as they honored their senior players, and we got to see the presentation of the AHA trophy for the division 1st place RIT Tigers. 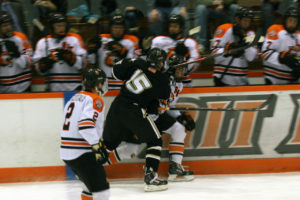 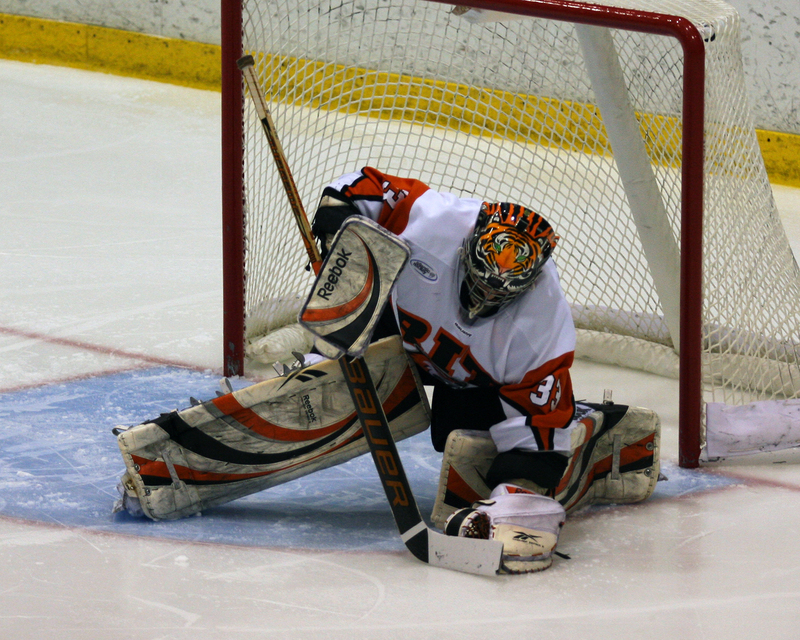 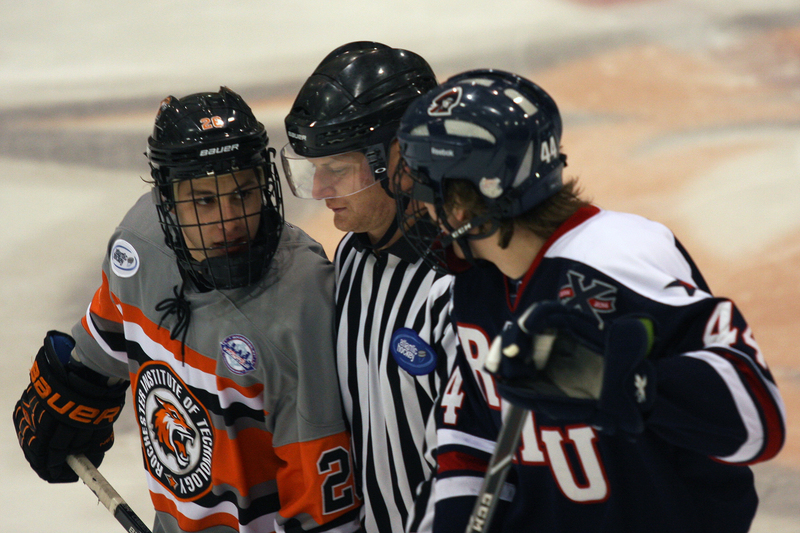 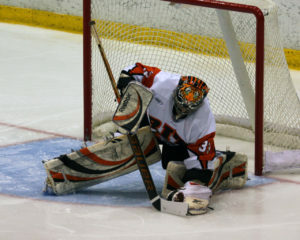 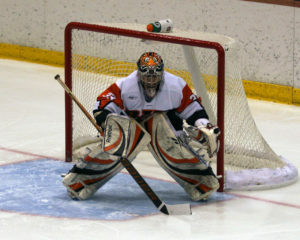 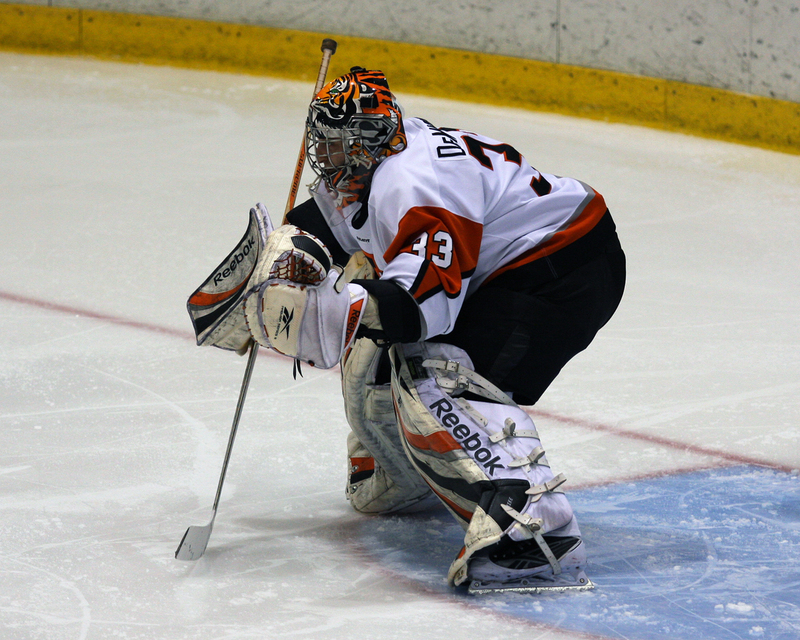 More photos from RIT hockey games can be found in my hockey gallery on flickr.